Just a regular guy going about his normal everyday regular life, Emmet Brickowski doesn’t have a care in the world. That is until he inadvertently stumbles across the Piece of Resistance, the Master Builders and The Kragle. It’s then his life changes forever. But I’m guessing you all know about The LEGO Movie. It’s everywhere at the moment with kids going mad for the stuff and adults all rekindling those childhood memories. But you’ve still got a pretty big choice to make when it comes to the latest blockbusting brick building flick and it’s videogame equivalent. You see, you could watch the film first and hope that it doesn’t ruin the game for you, or you can play through the game before sitting back with the movie and pray to the gods that you’ll still enjoy what is shown to you on the big screen. Or you could of course just not bother with the film and focus solely on the game because you know what, it’s good enough to let you do that. In fact, it’s really rather excellent but is it actually…..awesome!? Anyone who has owned a games console in one form or another over the last ten years or so will no doubt have been subjected to a LEGO game. Whether that’s down to your own doing or as in my case, down to my kids doing, there’s no getting away from the stuff. That’s in no way a bad thing though because the vast majority of LEGO games, especially on Xbox 360 and now Xbox One, have been bloody good. It has however been the last six months or so which have seen the games change slightly and move on to a whole new level with LEGO Marvel Super Heroes leading the way and now The LEGO Movie Videogame keeping up that pace. The LEGO Movie Videogame runs directly alongside the film and incorporates large chunks of the cinematic masterpiece into the game play. In fact, ALL of the cut scenes found in the game have been ripped directly from the film and as someone who has already paid an extortionate price to eat some popcorn at the pictures, I felt the game only enhanced what I had seen. Truth be told, I’m not much of a film buff but I am a games nut and I had reservations about watching the film whilst I was still mid game, but if anything it has just made the game even better than it already was. I’ve become completely engrossed in both aspects of The LEGO Movie and have seriously enjoyed playing through the bits of the film on my 360. Spoilers or not, I was still interested to see how things would pan out! You play as Emmet, a regular guy going about his regular life on a construction site when he stumbles across the Piece of Resistance, the only thing known to be able to stop the destruction of Emmet’s world as they know it, and the super weapon, the Kragle. Emmet however couldn’t do this all by himself and thankfully there are some Master Builders on hand. 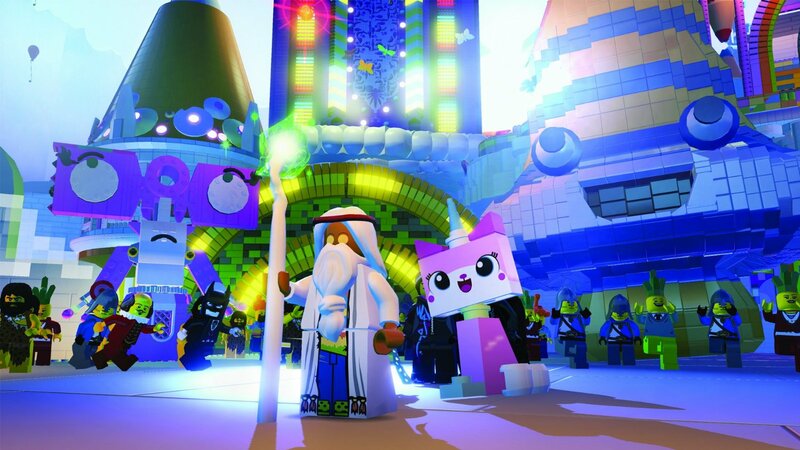 You’ll get the chance to play as Vitruvius, Wyld Style, Batman and all the others you’ll find in the movie and it’s these guys who will eventually help Emmet save the world. 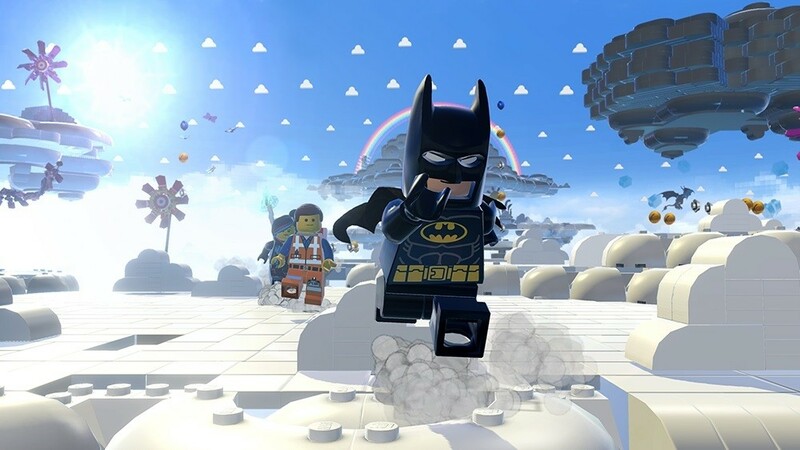 And whilst the Master Builders will be the focus of many gamers attention (c’mon, we all want to play as Batman, Superman and the like don’t we? ), it is in fact Emmet who is the real star and it’s with him where comes a slight change to the usual LEGO mechanics. You see Emmet is just like you and me, a regular builder who requires instructions to create anything of worth. Instruction booklets have never been seen before in a LEGO game, usually requiring the press of a button to create whatever is needed for a certain situation. Now though, Emmet gets whisked into a pretty cool mini game in which you need to search for the missing LEGO pieces in order to create the relevant structure. It comes together very nicely and is a refreshing change from the usual brick bashing and building. Of course, the Master Builders can continue to create the usual way but they also have a new trick up their sleeve with the ability to pick LEGO pieces from the nearby environment to create something entirely new. The main story of The LEGO Movie follows these two basic elements and they have been transferred to the game well. There are also plenty of other mini games found throughout and range from a simple quick time event seeing Vitruvius knocking on doors, to Benny the blue Spaceman partaking in a bit of Pac-Man style action in order to hack computer consoles. They are all decent fun and make a nice change to the usual bashing of bricks. The focus on block bashing and building is still there but when the whole ‘smashing everything you see to bits’ thing used to be all there were to the games (I eventually found the LEGO Star Wars Saga stuff a bit boring), there are now enough little additions to stop the tedium from coming to the forefront. Fun is the name of the game in The LEGO Movie and whilst the mini games break things up, the real fun comes from searching out the collectible items and characters. Gold and red blocks are staples of LEGO titles, but now you can also upgrade Emmets pants (disco trousers anyone?) and you’ll need to constantly buy and switch to new characters in order to find all the unlockables available in the open world. There is possibly a little too much smashing needed in order to unlock each and every character in the game but the varied environments found make this pretty tolerable. I would think that if we were only treated to the Bricksburg area then I personally may have given up my unlocking quest but the lure of The Old West and Cloud Cuckoo Land keeps things fresh. 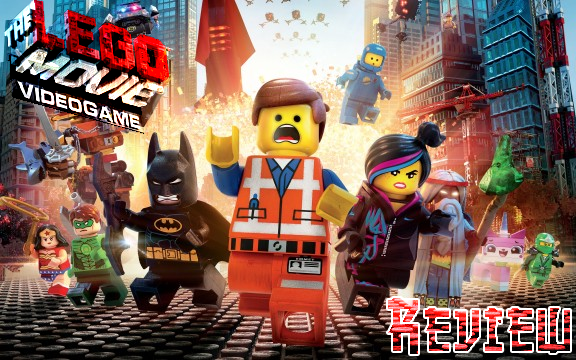 There isn’t an awful lot to dislike about the latest LEGO title but on the same hand, if it weren’t for the few added mini games and the tie in to the film, there isn’t a lot to separate it from previous games. But when you have such a good idea, why change for the sake of it? If you’re on the lookout for something new, something fun and something which will keep you busy for a while, then pick up The LEGO Movie Videogame. 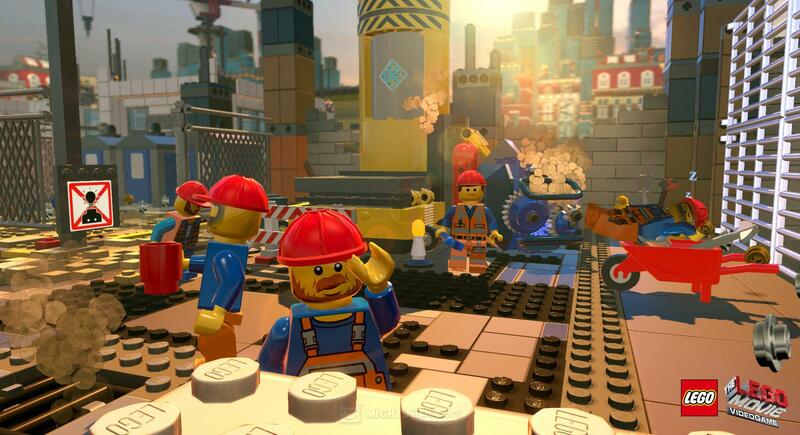 There are at least 10 hours of gameplay to be had by just playing through the story but once you factor in all the collectibles you’ll probably find yourself running around as Emmet and the Master Builders for much longer. TT Games have done a wonderful job and everything is very nearly awesome! Previous articleXbox One gets a UK price cut. Titanfall thrown in for free!